You know the feeling all too well—you put your heels on at 9 a.m. for work, and by 10 a.m., you're wincing in pain. Sound familiar? Sure, you could simply live the rest of your life in flats, but heels just have that way of instantly elevating (literally) anything you're wearing. Fortunately, there is a simple trick that'll make teetering in sticks a bit more bearable—and it won't cost a thing. Shoe expert and Shoe Are You? author Meghan Cleary suggests running your feet under cold water (even if it's a sink in the bathroom), putting a little hand lotion on your feet while they're a little damp, and then putting your stilettos back on. "I personally have gotten another four hours out of a pair doing this mid-event," she said. Just make sure you put your feet back in your shoes damp, not completely wet. Why does this work? The lotion seals in the moisture of the cold water and lubricates against any sore spots. 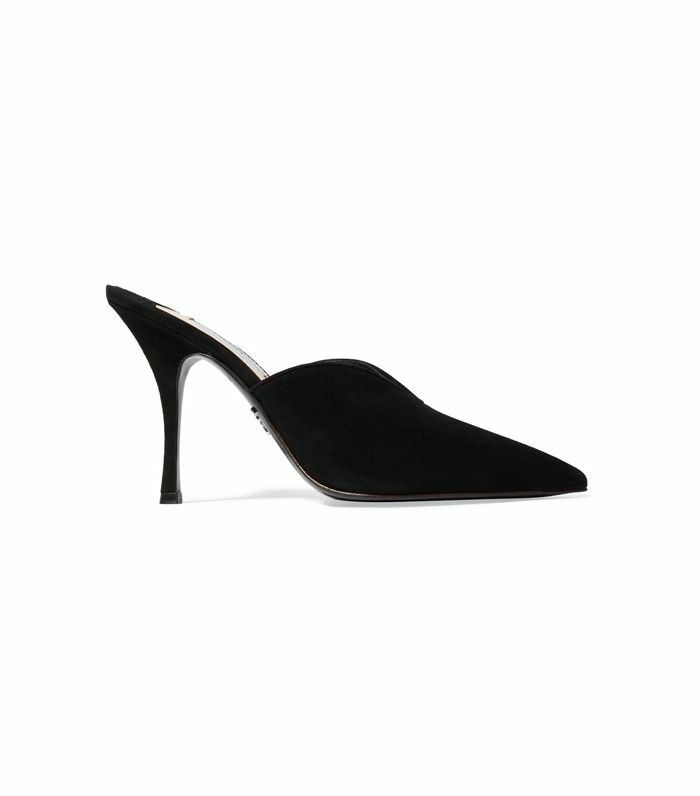 Go on and try this trick next time you're running in heels, and keep clicking through to shop the heels you can now actually wear all day long. These are total power shoes. We'd pair these with loose jeans and a white tee. Pink shoes we can get behind. Leopard will always be in style. Every woman needs some classic pumps. It seems like every It girl is testing out the ballet trend this season. Block heels are our favorite comfortable party option. Who can resist that red-and-green Gucci stripe? We love some good statement shoes. A simple way to make a big statement. Everything is better in velvet this season! This silhouette is incredibly flattering on the foot. Based on that platform, we're betting these are super comfortable. The updated classic work pumps. You can dress these up with a dress or down with a cool pair of jeans. Check out how Hailey Baldwin reinvented fall's best ankle boots. This post has been updated by Nicole Akhtarzad.